The University Hospital Association has guidance to make clear the requirements of an NHS provider in being recognised as having ‘university’ status. It defines the key features of this status, focusing on the commitment that university hospitals must make to teaching and research, as shown through partnership with university staff. The guidance highlights the importance for trusts in demonstrating this close working relationship through collaboration in research activity and ensuring university representation on relevant trust committees, as well as delivering high-quality clinical education for health profession students. Ultimately, these activities not only strengthen the future workforce and available treatment, but also identify the trust as an important national teaching and research resource, improving its ability to attract and retain the best staff. 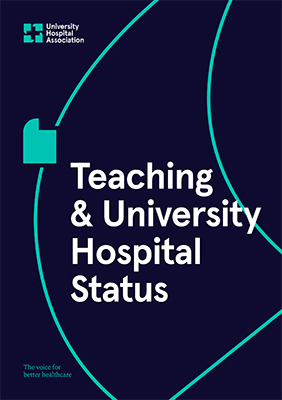 The full document can be found here: Teaching and university hospital status.